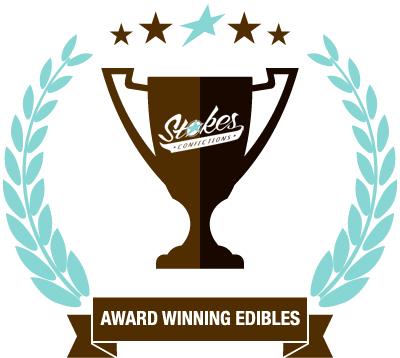 I’m pleased as punch to see companies in the cannabis industry begin to embrace the low-dose patient, and Stokes Confections is doing just that, with their “Stokes Micros” line of low-dose cannabis edibles. What's the Dose Amount for a Stokes Micro? What’s the Dose Amount for a Stokes Micro? Each container contains 20 mint-sized pieces with 5mg of THC in each, for a total of 100mg per bottle and a very manageable, pleasant high. Plus, they take effect almost instantly, thanks to sublingual uptake, and at just 3 calories per sugar-free Micro, they won’t make you feeling sluggish like most of the other sugar-infused edibles on the market. Instead, Stokes Micros provide just the slightest bit of body buzz, which is perfect for patients who use cannabis to un-wind, de-stress, or perhaps treat a condition like anxiety or ADHD. Micros come in an array of delicious, all-natural and sugar-free flavors — Mint, Watermelon, Tangerine Creme, and Honey Lemon Ginger — offered in Indica, Sativa, and Hybrid strains which are available in 20 and 50 count tamper resistant, child-proof containers. The 20 count container features 100mg of THC, while the 50 count features 250mg of THC. We tried the Stokes Watermelon Micros, which are a bit sour (especially if chewed up) but do a decent job masking the taste of cannabis considering how small each piece is. The company also features a line of “Truffles,” artisan, ganache-filled, gluten-free and available in decadent dark and milk chocolate. Despite ever-increasing headlines in the media about how pot is stronger today than its ever been, the legal marijuana landscape is actually shifting towards more mellow, moderate consumption, thanks to the influence of “new-age” cannabis users and adult-use cannabis laws in many states. Not everyone is looking to get stoned, yet for the longest time that’s all medical marijuana dispensaries had to offer. The founders of stokes realized what a void existed in the market for low-dose THC products, and set out to create a product that provides cannabinoids in precise, functional formats that enable patients and consumers to medicate confidently without fear of adverse reaction (we all have those edibles-induced horror stories). 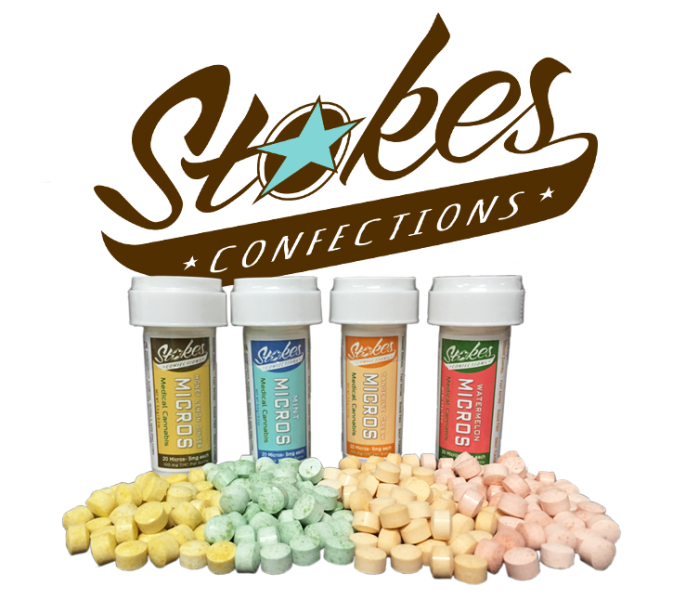 The Stokes line of products is ideal for first-time edibles consumers, as well as experienced consumers looking for a more calculated approach to cannabis dosing. To top it off, Stokes products are made with a solventless extraction method for organic cannabis, so you can be confident that what you’re consuming is safe and lab-tested. 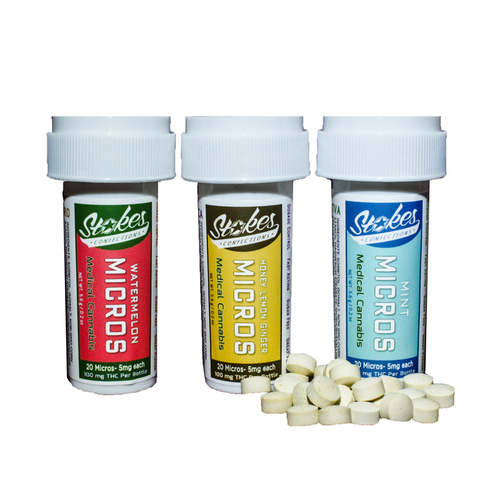 As a moderate patient who typically enjoys 35-70 mg per dose, I found Stokes Micros to be more beneficial as an accentuation of my already existing high, magnifying and extending the effects. Long after my high should have worn off, these little guys kept me buzzing. I’d recommend keeping these conveniently at hand, as their tiny size make Micros an excellent edible choice for times when openly medicating is impossible and discretion is necessary.